Rochester, NY is located in Western NY on the southern shore of Lake Ontario. It is the third largest city in the state. It is one of the country’s first boomtowns and is known for a variety of industries. The city of Rochester was named after one of the town members and founders, Nathaniel Rochester. The large area of land had begun to develop, and families began moving to the area. The citizens of Rochester had started to elect members of the community for the Town Council. The prominent members of Rochester had been officially chosen to fill the position of Assessor, Collector, Town Clerk, and Supervisor of the town. Other town members were elected to fill much-needed positions. The Horse Gelder, Fireman, School officials, were chosen to oversee important positions in the community. Schools continued to grow because were families moving into the area. There are many notable people and industries in Rochester including Frederick Douglass, Susan B. Anthony, George Eastman, and more recently Kodak, Xerox, Bausch & Lomb. Rochester’s geography was formed by ice sheets. The hills, bays, streams, lakes and rivers can all be attributed to ice sheets melting and advancing. Some more notable geographic areas of interest include Lake Ontario, the Genesee River, Irondequoit Bay, Mendon Ponds and further south the Finger Lakes. The Rochester economy has moved towards high technology since the 2000’s. As larger companies downsized, many smaller companies sprouted up. The area is known for photographic processing, imaging, and optics. Rochester has become an incubator for diverse technology businesses. These industries have led the city to be referred to as the world capital of imaging. Rochester is also known for its schools including the Rochester Institute of Technology and the University of Rochester. The U of R is the area’s largest employer, surpassing the Eastman Kodak company. The quality education is one of the reasons many young people move or live temporarily to the area and require apartments. There are many thriving locations including Park Avenue apartments and home rentals that college students enjoy living. Rochester’s historic neighborhoods have much to offer in the way of art and architecture, activities, shopping and even food. Some unique food items include white hots, garbage plates, and Genesee beer. French’s mustard and Wegman’s grocery stores were also founded locally. Another good thing about Rochester’s city neighborhoods is the vibrancy. On a beautiful day, they are teaming with people out for a walk or a bike ride. Rochester’s summers are short, but the people get out and enjoy them. Rochester has grown from empty land to large industrialized and developed communities. The population has also grown from a few hundred individuals to over one million people in the region. The city does well in national rankings and has much to offer individuals and families. Whether you’re new to the area or a native rediscovering the city, Rochester has so much to offer. Consider your next move to the city and give us a call for a tour of our properties. 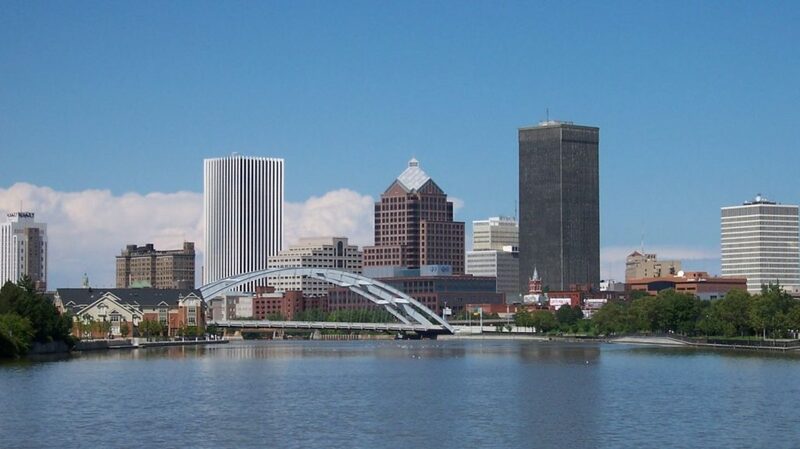 We’d be happy to share everything we love about Rochester with you!